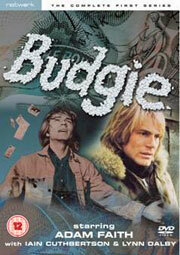 We love Budgie. The show had everything – a top-notch cast, big and bold fashions from the early 70s and the writing team of Keith Waterhouse and Willis Hall (the men behind Billy Liar). Hopefully, you picked up series one (check out our review if you’re in doubt) and you’re ready for Budgie – The Complete Second Series, which is available to buy from 11th September. The DVD set contains all 13 episodes of this second series, which was originally shown in 1972. Nearing the end of his prison sentence, Ronald "Budgie" Bird’s prospects are probably better if he remains inside. Dumped by his girlfriend, Hazel, and ignored by his wife, he’s also got money troubles. And just when things can get no worse, he’s gets a visit from the Mr Big of the adult market – Charlie Endell. I can’t wait. Expect a review of the show sometime before the release date.